Donald Trump is the president of the United States. His presidency encompasses the U.S. territory of Puerto Rico. In another tweet, he added that potential disaster-relief funding that Democrats wanted to allocate for Puerto Rico following Hurricane Maria would take funds away from “our Farmers” — phrasing that again appeared to imply Puerto Ricans are not Americans. Soon, the hashtag #PuertoRicoIsTheUSA began trending. Pundits questioned whether the president understood his apparent goof. But the president doesn’t always make it clear that he understands Puerto Rico’s well-being to be part of his responsibility. And there might be political reasons why. The island commonwealth has no electoral votes, for one thing. Trump’s messaging might also play well among a large aging, rural and white voting base less likely to connect with the island’s Caribbean culture and Spanish language. And Puerto Ricans lean more socially conservative than Democrats on the mainland, according to the Puerto Rico statehood group PR51st. “Puerto Ricans in Florida are not as pissed off at Trump as people think,” said Iara Rodriguez, a Puerto Rico delegate at the 2012 Democratic convention who now lives in Florida. Puerto Rico is 85 per cent Catholic, and many economic migrants from the island happen to be religious conservatives with strong anti-abortion views and less familiarity with the two main American political parties. “And when you explain to some Puerto Ricans who just got there the values of the party like the way Republicans are doing it, the Republicans are going to get the votes,” Rodriguez said. In interviews, Puerto Rican voters spoke of passive disdain that some Puerto Ricans from the island have for mainland “Nuyoricans” — the sometimes pejorative term for assimilated New York descendants of Puerto Ricans. The Democratic freshman superstar Alexandria Ocasio-Cortez, for example, is of Puerto Rican descent, but her progressive values don’t necessarily align with those of people from the island. Nearly 400,000 of the island’s residents moved to the mainland after Maria devastated the island, suddenly empowered with the right to cast ballots in federal elections as legal residents on the continental United States. But some Democrats’ belief that many of those newcomers to the mainland would automatically vote Democratic were apparently overly optimistic. 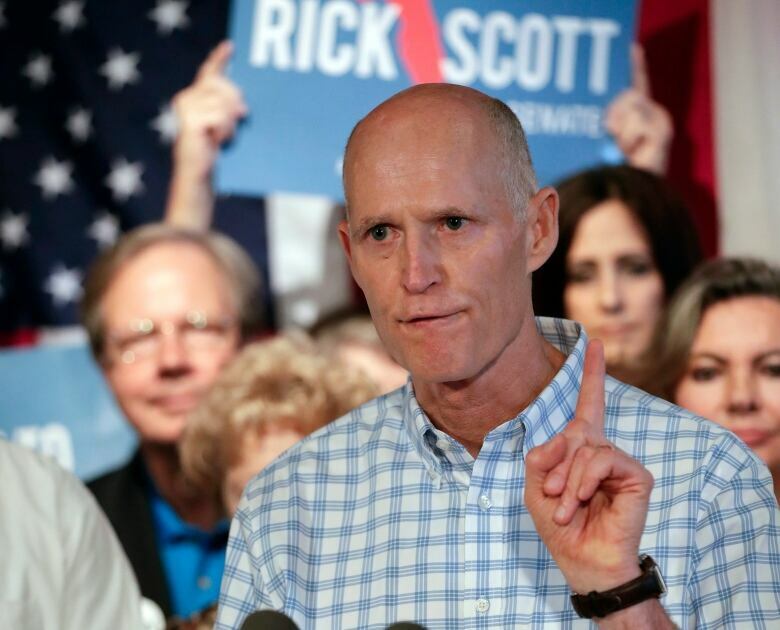 Rodriguez, who worried that Democrats weren’t doing as much outreach as Republicans, remembered cardboard cutouts of Scott, the Republican governor, welcoming Puerto Ricans at major airports in Florida. Island residents said news of the president’s and his surrogate’s remarks dominated local news media. 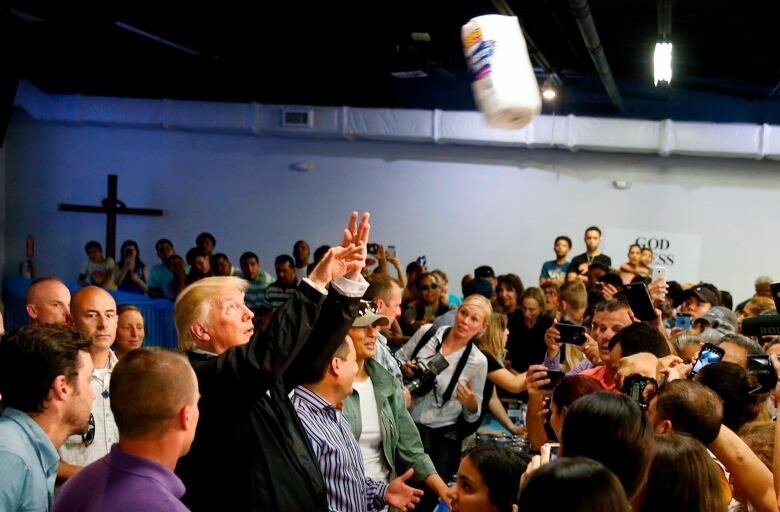 Puerto Ricans are “saddened” by the remarks, said Jose Colon-Morero, a professor at the University of Puerto Rico in San Jose. Valerie Alecia, an attorney who lives near San Juan, said her office still loses power and internet for hours at a time “four or five times a month.” Although the president has offended many locals, she said, “a minority” of her Puerto Rican friends in the States support the president’s policies. All of which is to say Democrats hoping anger among Puerto Ricans would be enough to draw voters to the party in 2020 might be fooling themselves if they believe they can be complacent. If Trump’s tweets on Tuesday were deliberate messaging about how he views the status of Puerto Ricans, the president’s deputy White House press secretary Hogan Gidley carried it through on cable news. Twice, Gidley referred to Puerto Rico as “that country,” rather than as a domestic commonwealth belonging to the nation he calls home. “A slip of the tongue,” the White House aide said later. Or maybe not, contends Amilcar Barreto, an expert on Puerto Rican politics with Northeastern University. Barreto, who was born in San Juan and specializes on the intersection of Puerto Rican politics and American national identity, believes Trump’s “othering” of Puerto Ricans is a deliberate move for political gain. In a tweet this week, Trump called Puerto Rico’s local politicians “grossly incompetent” and reasoned they were fiscally irresponsible and were mismanaging disaster funds. Fair as the criticism might have been, critics pointed out that didn’t preclude the government from allocating funds to help rebuild New Orleans, despite corruption allegations after Hurricane Katrina in 2005. Trump vowed in 2016, after winning the presidency, that he would be “president for all Americans.” But Barreto hears “hierarchical citizenship” in the president’s words. Being “worthy” of such funding, he said, seems to come down to a sense of belonging in the U.S. Asked about the possibility Trump simply didn’t realize Puerto Rico is part of the U.S., Baretto scoffed.